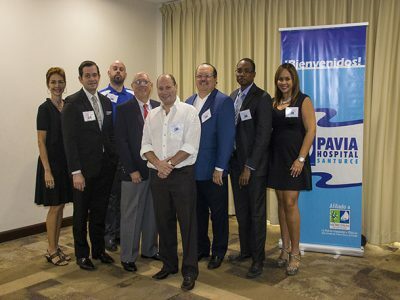 Metro Pavia Health System (MPHS), The largest network of hospitals in Puerto Rico and the Caribbean, specialized under the Medical Tourism area and the first to obtain the International Patients Certification Award in Puerto Rico through the Medical Tourism Association (MTA) celebrates its 14th Annual Medical Symposium, a successful event held at Maria’s by the Sea Conference Facilities in Road Town, Tortola. The Symposium was attended by a crowded group of specialists and local healthcare providers in The Virgin Islands with more than 20 Years of Experience. More than 85 healthcare professionals attended the conference; including local physicians, nurses and other healthcare professionals who offer their services to the public and the private sector in the BVI. Metro Pavia Health System and the BVI council of medicine will offer four (4) contact hours to participating physicians and nurses. The activity was sponsored by BVI ministry of health and social development, the Marriot Courtyard Miramar Hotel in Puerto Rico, Caribbean Insurers (health), Ltd., Reva Air Ambulance and Seaborne Airlines. The greeting speech was addressed by Mrs. Madeliza Ramirez, director of the medical tourism program at Metro Pavia Health System and followed by Guillermo Martin, VP of Operations at Pavia Hospital. On behalf of Mrs. Karen Z. Artau, president of MPHS, Ms. Ramirez thanked the attendees and emphasized the genuine interest and commitment of Metro Pavia Health System in supporting continuing education programs and health care quality throughout the Caribbean. Ms. Ramirez and Mr. Martin noted that Pavia Hospital will continue to offer the yearly medical symposium in Tortola. 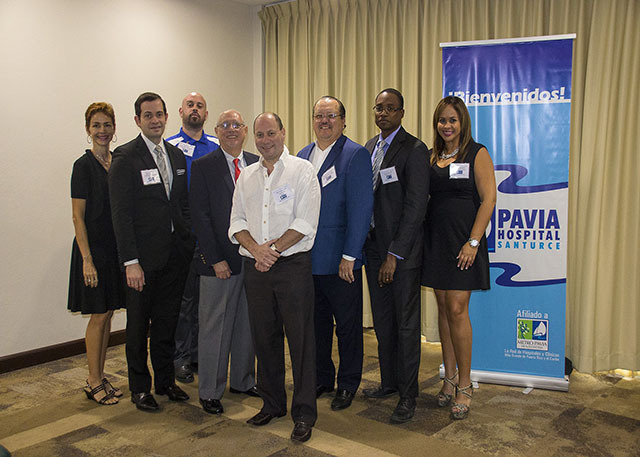 Pavía Hospital’s patient advocates coordinate physicians appointments for the islands residents that wish to visit Pavia hospital and its medical staff in Puerto Rico for services. They also assist with airline transportation & hotel reservations at discounted rates. Once the patients reach Puerto Rico, they are offered free ground transportation between airport, hotel, and hospital. Mapfre, Nagico, United Healthcare, Corvel, Bupa, Redbridge, Triple S, Aetna, Blue Cross Blue Shield, Colonial, Map, Mch & Medicare, amongst others. Also, effective January 2016 Pavia Hospital is a provider under the BVI national health insurance’s network. The event surprised attendees with a door raffle amongst which were prizes such as 3 days & 2 nights stay at the Marriott Courtyard Hotel in Puerto Rico and a seaborne airlines round trip ticket from Beef Island, Tortola to San Juan, PR. Participants enjoyed a luncheon at the end of the program where they had an opportunity to meet with the guest speakers and Pavia hospital administrative staff. For patients that have no health insurance, Pavia hospital offers discounted rates in most of their services. The aforementioned benefits are amongst those offered through Pavia Hospital’s free preferred patient membership. For more information, please contact us at (284) 343-5440 or (787) 268-6060.